I am surrounded by amazing women. Ladies who live their lives courageously and follow their dreams with a wild heart. Women who don’t give up when crisis hits them and walk through the valleys with dignity until they come out stronger on the other side. Friends who open up and entrust me with their pain, their secrets, their dreams. Wonderful men and women who walk this path alongside me and speak truth when I need to hear it the most. My grandmother became a widow in her 50s and had to manage an entire farm on her own. If you need to know anything about tough life and love, she’s your girl. My mother who would always say, ‘Women make themselves’, and challenged me to speak my mind and not limit myself in what I could do, may it be to set up a shelf or travel around the globe. Women can do a lot of wonderful things, but we can’t do it all. We live in the 21st century, but sometimes I wonder if our minds are stuck somewhere in the Middle Ages. In our self proclaimed ‘postmodern society’, where equality and tolerance stand above it all, we still experience that women are not treated equally as men, let alone as human beings. Women who should have a career and still be the perfect mom at home. Women who do the same work for less money. Women who are stared at and judged for the way they look. Women who are sold into enslaved prostitution so that others can satisfy their perverted needs. Women who are beaten because they don’t obey their husbands. Women who are seen as ‘little helpers’ and do all the work while others don’t lift a finger. Women who are supposed to function because men are supposed to enjoy themselves. Women who are expected to be everything and yet appreciated for nothing. Women who are shamed into becoming something they don’t want to be because they’re too afraid to be themselves. We have lamented this misery. We have protested and been looked down upon with a complacent smile. We have been promised better things, a quota in every work place. Unless our minds – and that includes men AND women – change, all policies are empty words. We together are the only ones who can bring about real transformation. Deine Oma muss eine krasse Frau sein – ich hoffe sehr, ihr erlebt noch viel zusammen und du kannst von ihr lernen! Ja, ich dachte, das Bild passt gut – zum einen wegen der Perspektive, zum anderen, weil du eine Powerfrau bist! Und ja, meine Oma ist krass. Im besten Sinne. These are some poignant thoughts. “Women can do a lot of wonderful things, but we can’t do it all. ” This is absolutely right because we were not meant to do it all, just as a wrench cannot do all the things a screwdriver can do. We are the same–only different. While I push for respect for all women as women, I do not push for equality. Rather, I embrace the differences between men and women, for it is our differences that make us special. Yes, you’re right. I am not saying we should all do the same, but some rules are just plain stupid and we should have the courage to call them out. And celebrate/appreciate each other’s differences instead of shaming each other. Thanks for clarifying the message, Angela! 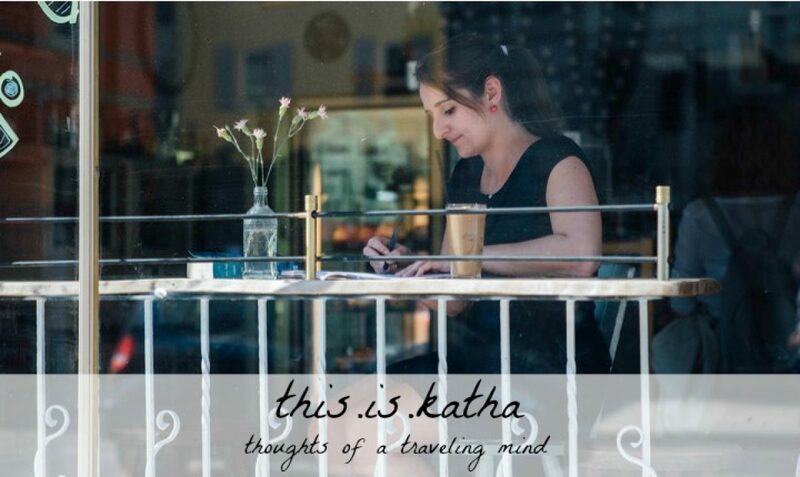 Absolutely, Katha. God bless you, sister. Visiting as your FMF neighbor. It’s too bad the old stereotypes are still around. Change comes slowly. As I always told my wife and daughters, ROAR! Good to hear that! Thanks for coming by! So many good principles here! Keep up the good work!